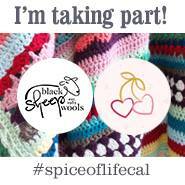 And we’re back! There just aren’t enough hours in the day right now to do everything I want to do. But, a big charity shop haul of new Ladybird titles as a gift from my OH has given me the kick up the backside that I somewhat need to get some Ladybird Tuesday posts written. 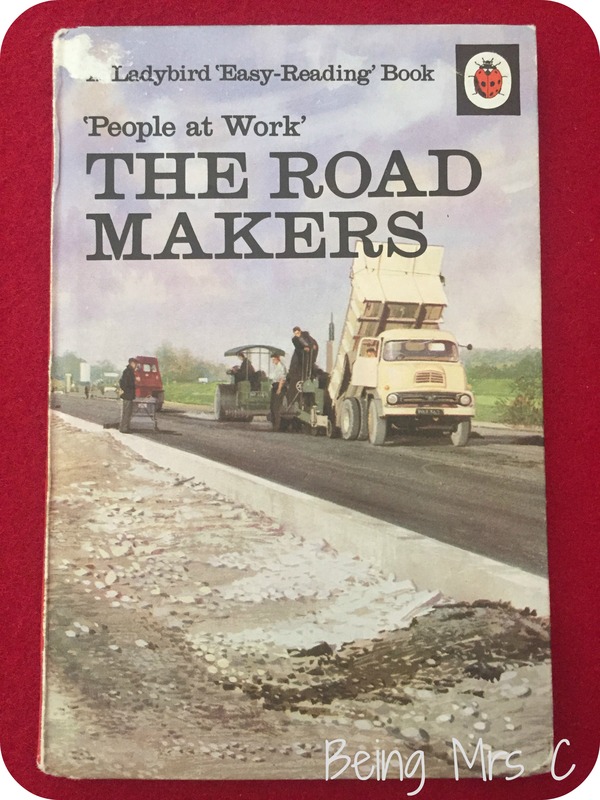 After many hours recently on the UK’s motorway network it seems somewhat appropriate to be back with The Road Makers from the People at Work series (series 606B). We’ve visited this series several times now on Ladybird Tuesday (The Fireman, The Builder, The Soldier, The Policeman, The Car Makers, In a Hotel) and it’s one that I keep coming back to again and again as I love it so much. It’s a wonderful snapshot of how things used to be back when they were first published in the 1960s. The Road Makers starts with some of the history of road making from tracks from village to village, to Roman roads, Turnpike roads and through to the first roads designed for motor cars. The most interesting fact for me was that the word “tarmac” comes from “tarmacadam”. This name comes from an engineer called Macadam who designed roads with smaller stones in layers and then a top layer finished with broken stone and grit. These roads were first used for horse drawn vehicles, but when the motor car came along these roads wore away more quickly, so to make the roads wear better tar was mixed with small stones and used for the top layer. This became tarmacadam or tarmac as we know it today. As road use increased further, the Minster of Transport came into being and this is where The Road Makers starts to show the gender imbalance that was very much present in the 1960s. The book goes on to explain that the Minister’s role is to build new and even better roads, and so as part of doing that he “asks men” to work out where new roads are needed. I’m pretty sure women could have done the job just as well, but in the 1960s they simply didn’t. 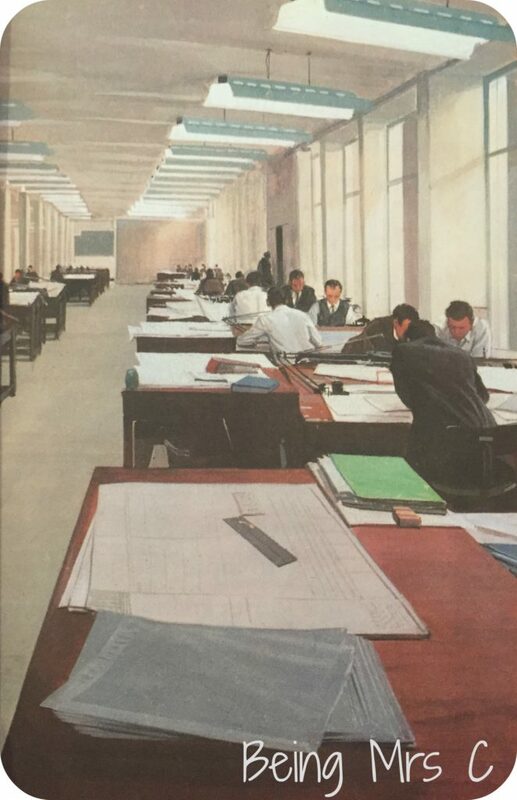 After talking about how the new roads and layouts are designed (just look at all those men in the drawing office) and engineered we go on to hear about the men who actually go out and build them physically. And from what I can gather from the pictures in the book, it seems that quite a few tractors are involved in the process! 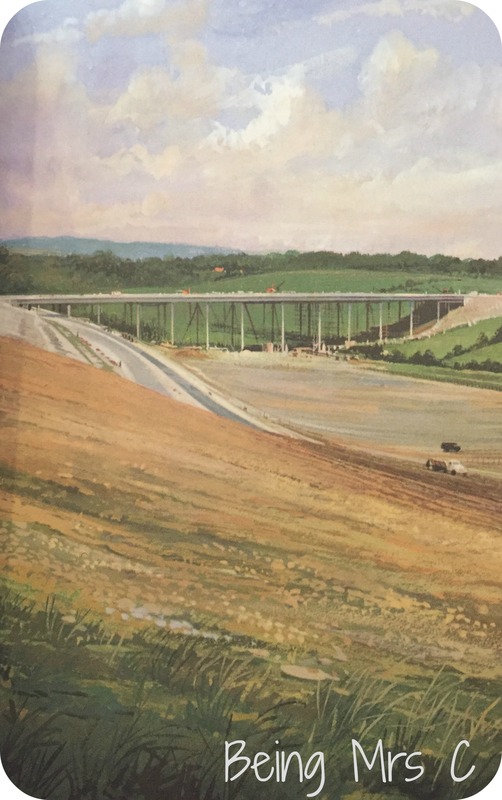 Civil engineering was never really my forte, but the book provides a fair bit of information on how the roads are built – talking about some of the different stages in the process. I do love the page on service stations though. Out in the open, it looks so quaint and uncluttered compared to what we are used to today. 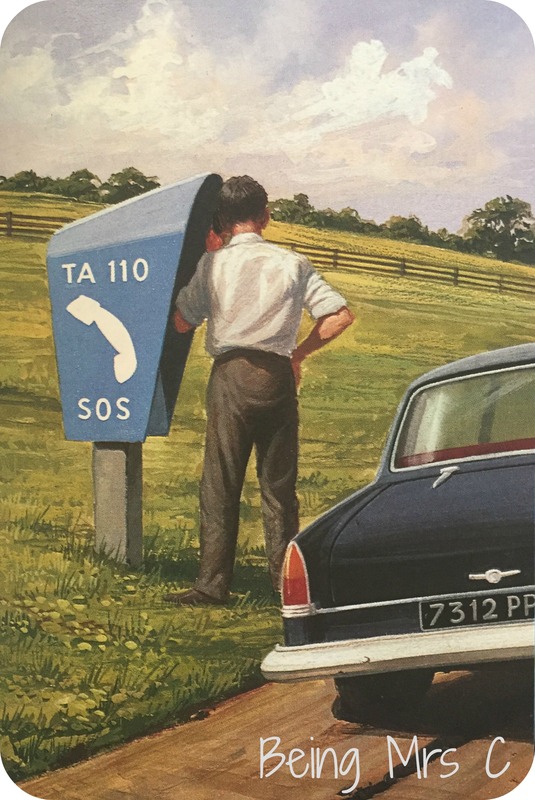 It is also nice to see mention of the roadside telephones that were installed for people to be able to call for help if they breakdown. With most people carrying mobile phones I guess many of these motorway telephones are now redundant, but I have to admit to having not actually noticed if they are still there or not. I guess I ought to take a look the next time I’m driving on a motorway. If you, like me, have a fascination for old Ladybird books then please take a look at all the books I have featured here on Ladybird Tuesday over the years. There’s a list of the titles I have and links to when I covered them on Ladybird Tuesday here, but I will warn you that it’s rather in need of an update. 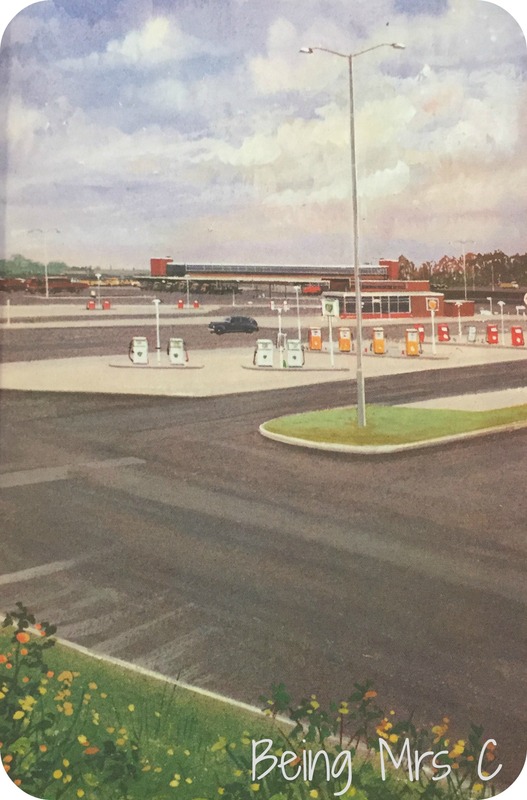 If you have any old Ladybird books that you no longer want, photos of books in your collection that you want to share, or are trying to track down a title that you remember from childhood then please don’t hesitate to get in touch. 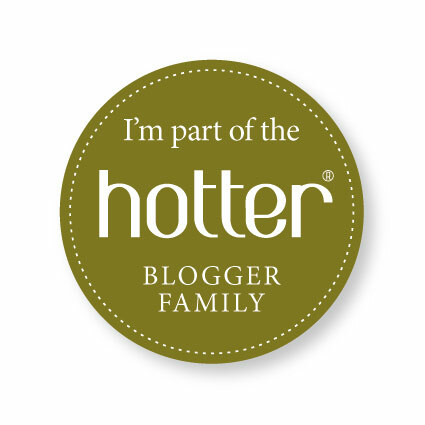 I’m nearly always on social media as BeingMrsC, or you can find my email address on my Working with Mrs C page.